My mother and father both came from large family farms. This meant on weekends and school holidays when visiting grandparents, I spent as much time as possible wandering in nature. I took long walks by myself to relax my mind. I felt at home on the earth and focussed mainly on walking up hills and down them again. I hopped over fences and stepped onto stones to cross streams. My hands enjoyed feeling the rough texture of trees. Sometimes on these jaunts, I found the softness of clay soil to melt into. I soaked up the relief of hearing nature, inhaling fresh forest air, and feeling my tightly spun nervous system soothed. I spent time absorbing the stillness of land left alone to do its own thing, as there were still pockets of this to find. Here was Nature at its most mysterious and engaging. The wilderness meant that I could be wild and feel that freedom too. 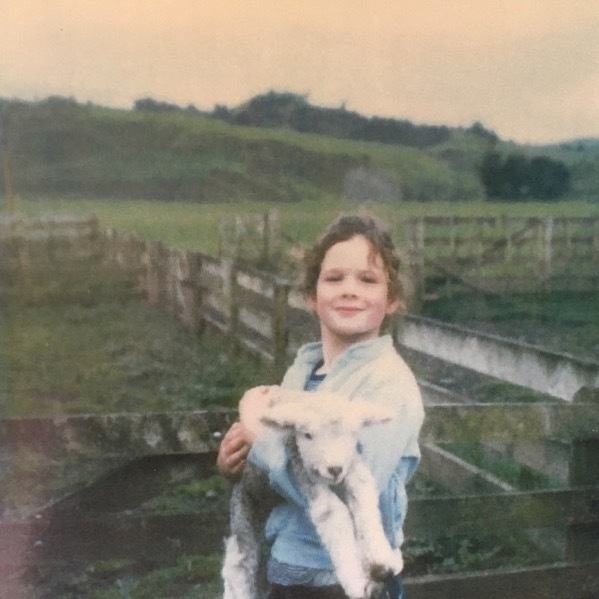 I didn’t have an easy childhood, and neither of those farms are still in my family, but those times of carefree wandering have strongly shaped me. I meditated often as a young child, going somewhere by myself, eager for silence, I would feel my mind drop into absorption, then expand and explore consciousness. I loved this feeling of magical union. Later when I was a teenager, my mind would feel such pleasure when meditatively writing, that my mind would burst into a tower of fiery bliss. But sometimes it was a bit like operating a flame thrower on full throttle and I had trouble keeping safe in such big energy. Somehow I knew I just had to wait and would meet a group of special people, a spiritual family, who would “understand me”. And this premonition came true. In my late teens, a man named Silananda would talk to me in the magazine store I worked at on Ponsonby Road. I saw he had a look in his eye and thought, he knows something. He shared skills on how to be with emotion in healthy ways. He introduced me to his teacher, Tarchin Hearn. I went on a weekend retreat taught by Tarchin, then on a weeklong retreat with him, where we did a lot of sitting and walking meditation. I could already meditate, but could I be trained? Could I be teachable? And the answer was yes, with a whole lot of internal struggle. Through Tarchin Hearn, I met Bonni Ross. In my early 20s, I was on a two month Green Tara traveling retreat with Bonni that finished with an intensive at the Wangapeka. It was my first time to the centre, which I had heard a lot about, and it seems fitting that it was Green Tara that delivered me onto the property. At the Wangapeka, there was space to walk out the tension. Like in my childhood on the farms, at the centre there was time to wander, to feel at peace, and get a reprieve from very strong emotions. I could focus again on greenery and the ground under my appreciative feet. I have a great love of nature because I felt its great love of “me”. Many times I have felt it love me back together, whole. Bonni Ross will be teaching a Green Tara retreat again this year at the Wangapeka, 20 years after my first retreat there. So perhaps it is fitting that it is now time that Green Tara moves me on from the role of creating communications for the Wangapeka, work I’ve been doing for the past ten years. I have often found myself somewhat obsessively tapping away, glaring into the brightness of a screen, many times long into the night, crafting materials to promote and support the work of the Wangapeka. Because I love the land and I know that it can be lost. We have been given a gift as a community to look after it, to care for it, this incredibly healing piece of land. But it’s not just the land. It’s the teachings that have sprung from it, that belong to it. Perhaps I never would have come to the Wangapeka if this Canadian, Bonni Ross, hadn’t been teaching on Green Tara, this wonderfully rich meditation practice on the feminine energy, and it was so helpfully explained with such detail and precision. Bonni Ross, a mother, teaching on mothering the earth. To see a woman teaching a class and cracking jokes in our meditation hall, the Whare, was deeply inspiring. This modelling offered a life path I had maybe not been able to see before, one with a lot of challenge, and one which I ultimately decided to take on for myself. Because I love these teachings and I know that they can be lost. In my mid 20’s I met Lama Mark Webber, who taught esoteric practices with tremendous academic, practical and experiential clarity. I also received teachings from Leander Kane, Chimé Shore, Cecilie Kwiat, Doug Duncan and Catherine Pawasarat Senseis and Lama Sonam Gyatso, amongst many others in this stream of incredibly vast teachings. And there was Ven. Namgyal Rinpoche – what a huge presence. When I first met him, he looked at me and smirked with recognition, and my body went into instant purification, trying to align with his consciousness as quickly as possible. My eyes watered, my nose ran, I started sneezing, even my ear wax melted. When I went up for a blessing from the Karma Kagyu from Namgyal Rinpoche, he pressed my head down hard with his hand – flooding connection into me. It was the same hand that touched me years later during a Hayagriva wongkur with an all-encompassing tenderness. When he was alive, Namgyal Rinpoche would visit my dreams and mental scape often, teaching, empowering, answering questions. When he died his last instruction to me was to practice White Tara, so I did, for years. Why do I mention teachers? Because that is why I was drawn to being part of the centre, and the lovely community of friends who were devoted to the same thing. Why do communications for ten years? I wanted to give back; I wanted the centre and the land to be available to those younger than me. I wanted others to have the same respite and have the same opportunity I had been given. So this has been a long article to say goodbye to this role. It was very important to me to craft a style of communication that aimed to be accessible and welcoming to a diverse range of people. The Wangapeka is unique in this world, I find it comparatively progressive. I’m openly out as a feminist queer woman and this will be my fifth year teaching two meditation retreats per year at the Wangapeka. 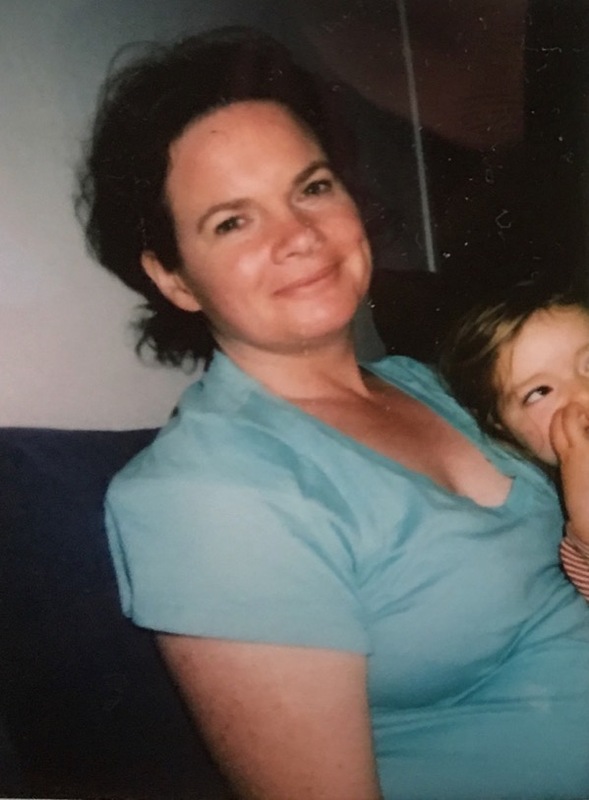 Just as Bonni Ross has been a role model for me as a teacher who is a woman and someone who has brought up children, I hope to be a role model for those who may be a minority, or not often have a voice in the room. I feel it is helpful to be able to teach in response to the range of different experiences and conditioning people may be working with. My partner of two years, Nicola, comes with me on each retreat. This role models a different style of meditation teaching from a norm that is often celibate and male. The Western Mystery tradition has been kept alive by creatives, romantics and “householders” and I’ve found this a good fit for the focus of my life. There is a very loveable core group that comes to every retreat who keep me on my toes with their questions. Now I’m a mother, with a ten-year-old son and a seven-year-old daughter. My kids come to the family retreat that I teach, that has been running annually since 1994 when it was started by Tarchin. I’m glad he started the family retreat because my kids love the Wangapeka. Just as my younger self did, they play on the swings and run through the forests and listen to teachings and through all these things they learn to calm their minds. My children and the other children who attend GOM get to have what I had: a place to roam peacefully. As I move on from my role with Wangapeka communications, I am sure that it will continue to flourish and give, through countless people’s generosity and the beauty of the land itself. Banner photo of Mira taken just before her ten-year stint of Wangapeka Communications. As a seven year old on my mother’s family farm. 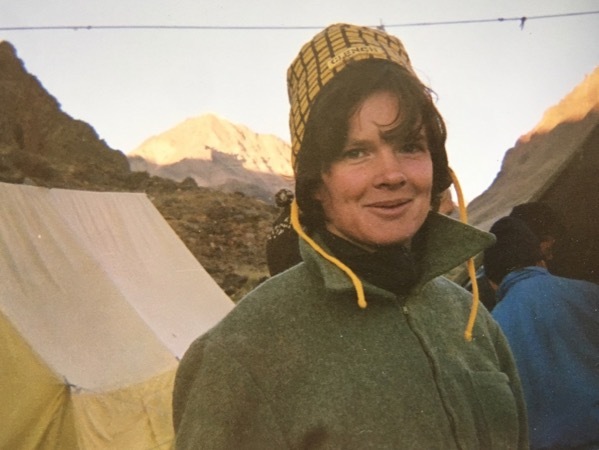 Traveling through India in my 20’s up in Ladakh (Little Tibet). Experiencing family life in my 30’s.